If your budget won’t stretch to designer footwear don’t worry because we’ve got a whole stack of ways to customize your own sneakers! 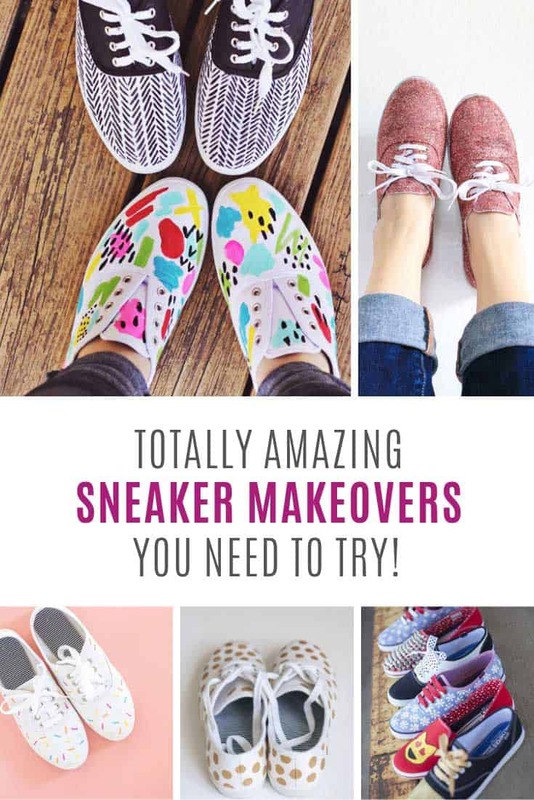 If you’re on the hunt for clever ways to customize your sneakers you are going to be blown away by all the fabulous ideas and video tutorials we have for you here! These projects are perfect for back to school! 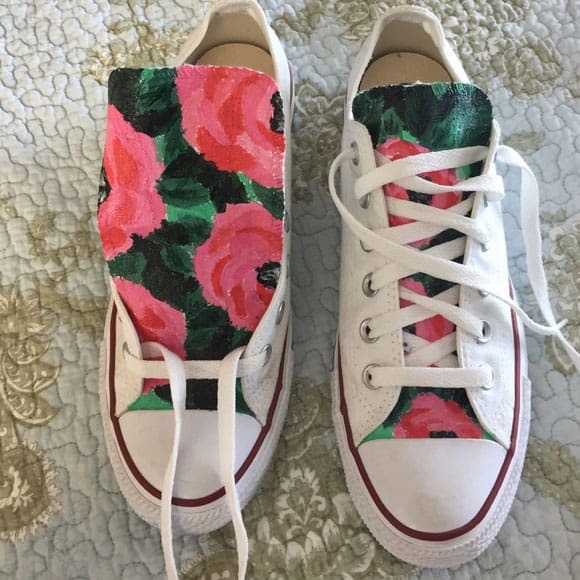 Well we had no idea you could decoupage sneakers! 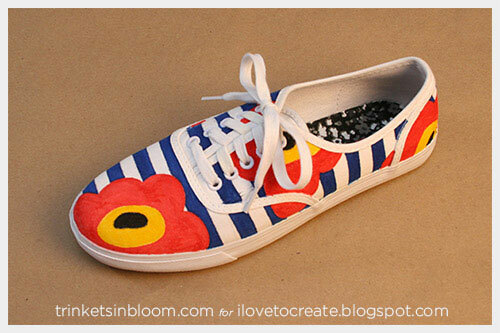 We love the combination of stripes and flowers in this customizable sneaker project! 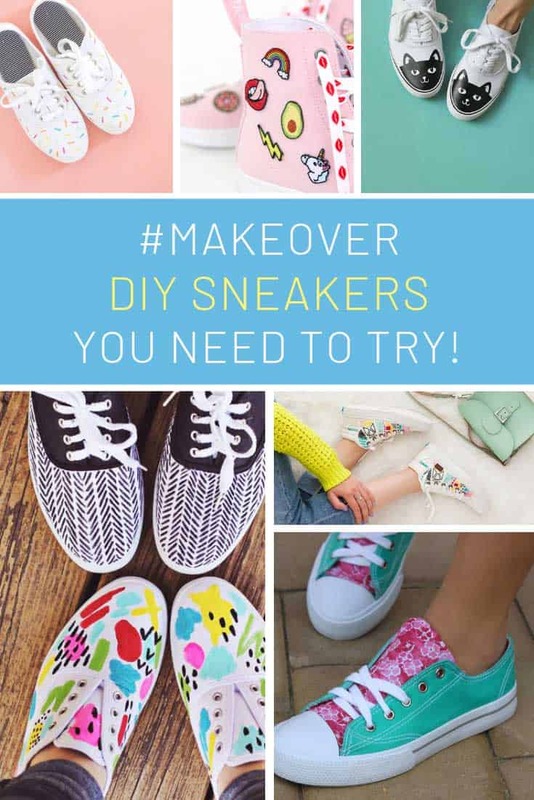 If you are handy with embroidery thread this is the sneaker makeover for you! 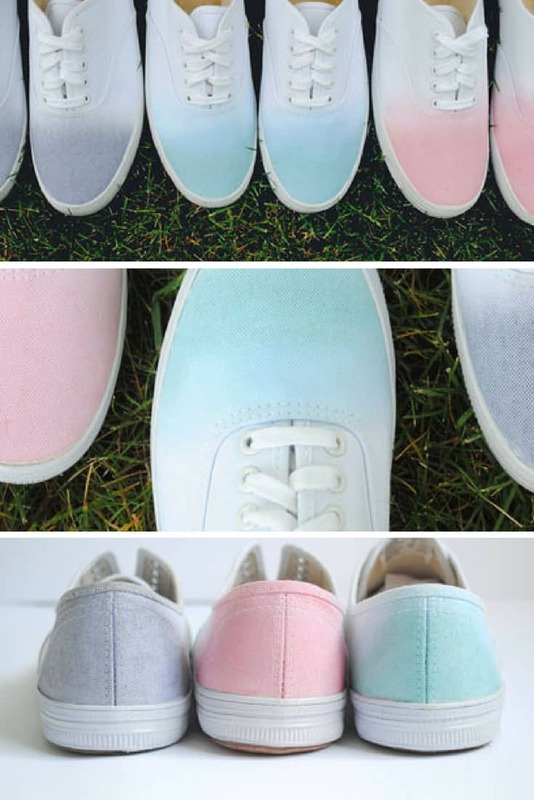 We love the pastel effect of these dip dyed sneakers! 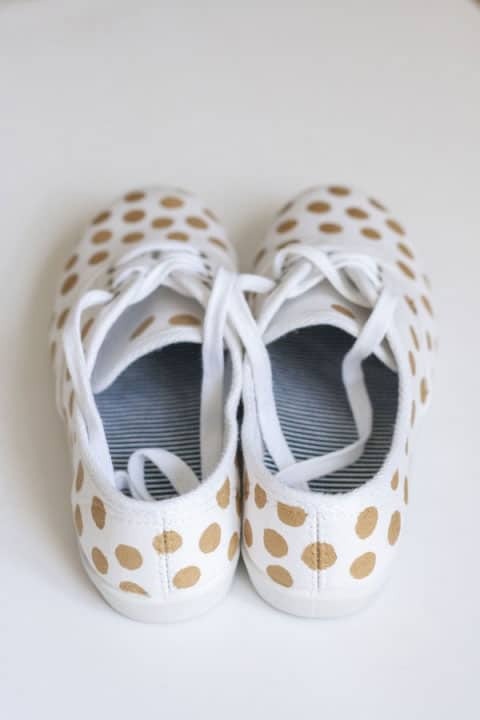 Here’s some great inspiration for customizing your plain white sneakers with fabric paint and markers. And they’re still washable too! 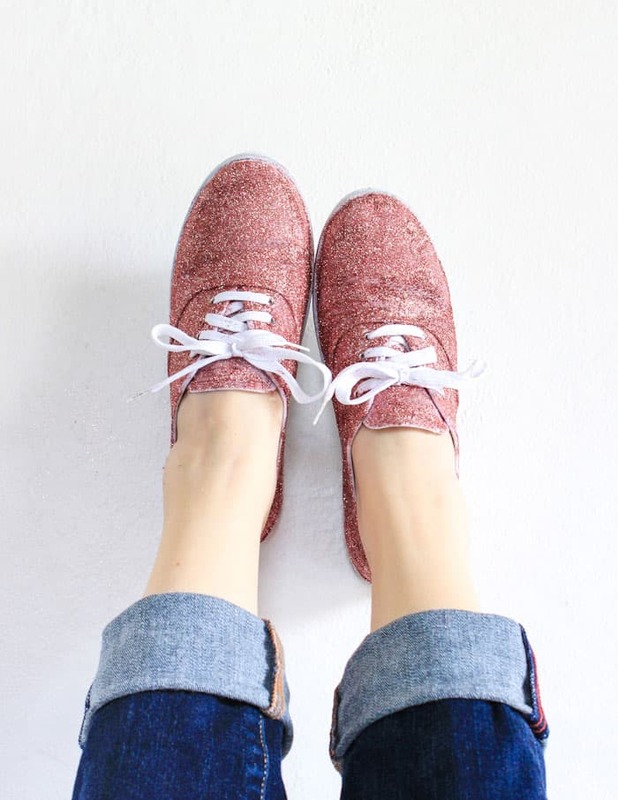 When your budget won’t stretch to a pair of Kate Spade Keds don’t be sad… just make your own! Kids outgrow their shoes so quickly it seems silly to buy them expensive shoes. 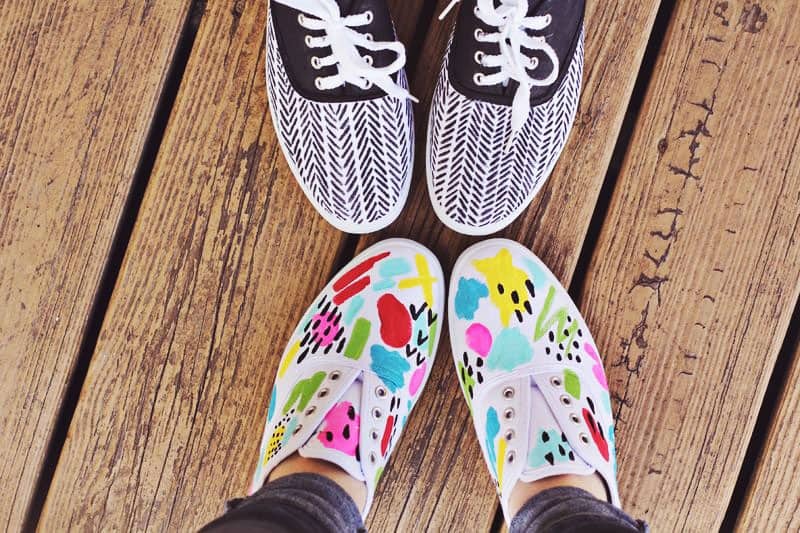 We love how a simple paint effect can turn some inexpensive sneakers into something super cute! How cute are these? Totally perfect if you’re a cat lover! 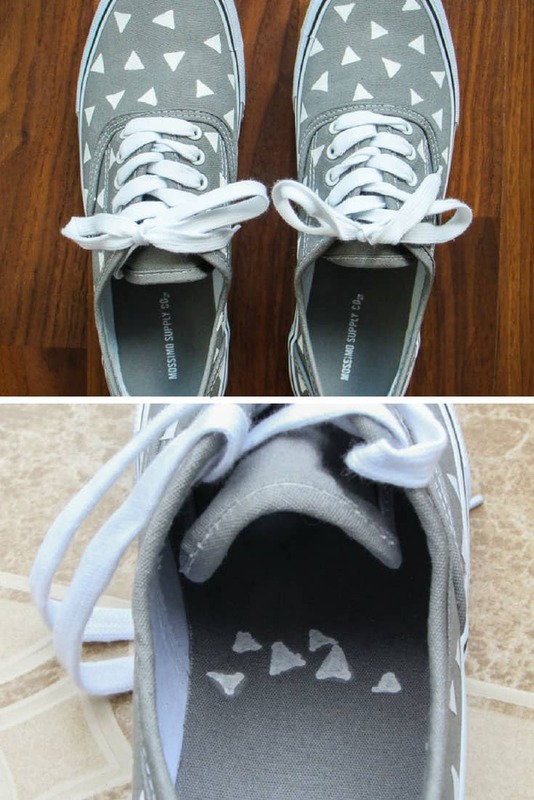 Click through to see how to add heat transfer vinyl to your sneakers. Loving these fluorescent sneakers! And it’s the perfect way to spend some quality time with your kids! 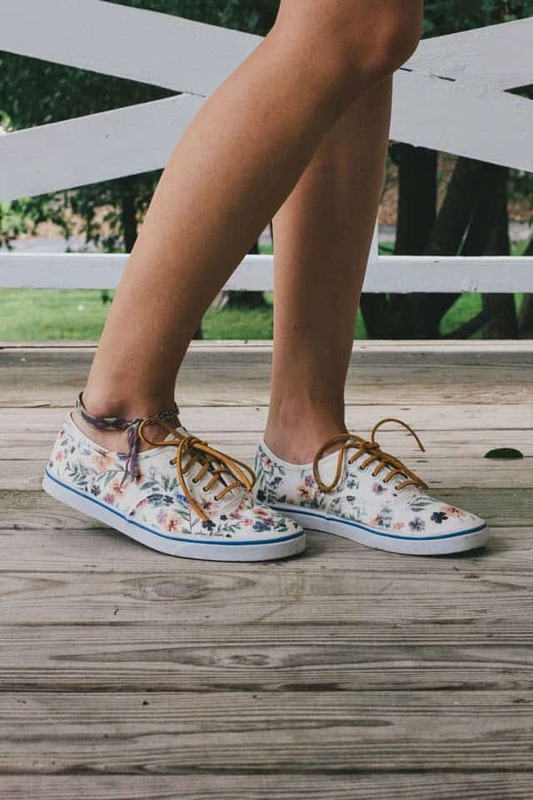 We are totally head over heels in love with these floral sneakers! If you LOVE glitter then this is the customized sneakers tutorial for you! 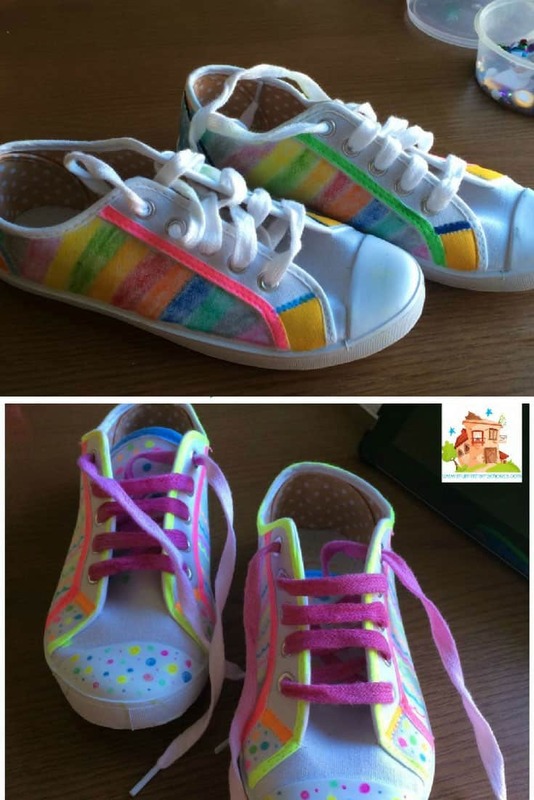 Click play to find out how to make your own tie die rainbow sneakers with Sharpie pens. 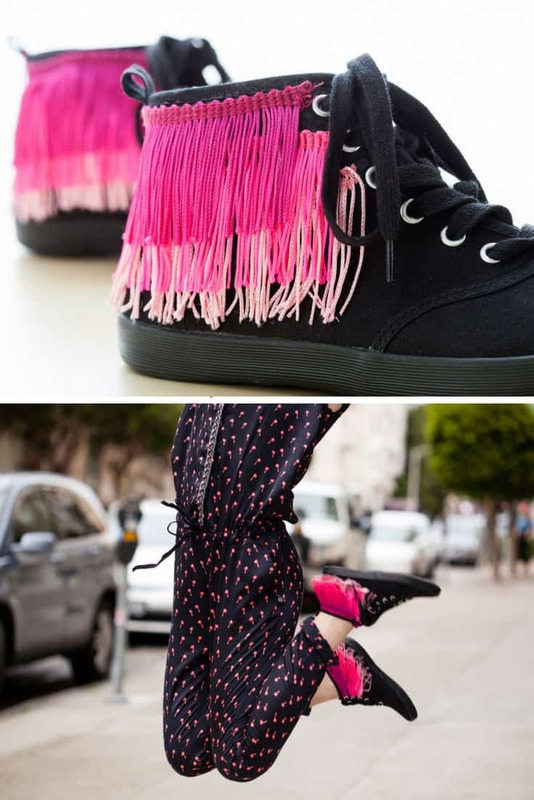 How about making your sneakers stand out by adding some fabulous ombre fringe? 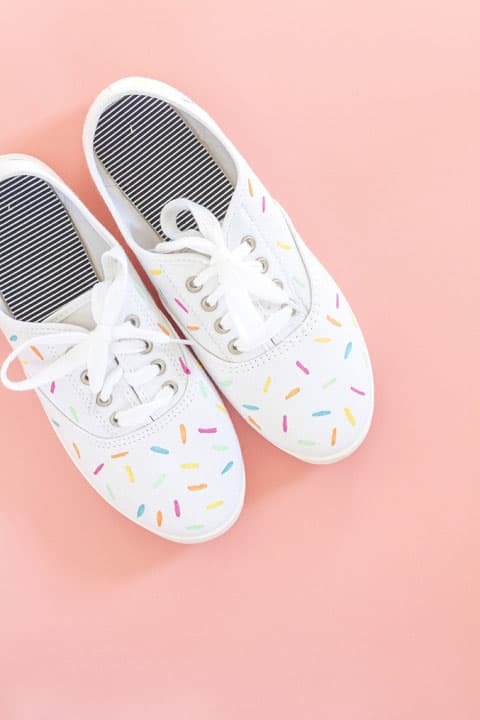 Let the work know how much you love ice cream sprinkles by making yourself a pair of sprinkle themed sneakers! If you want to know how to make your own galaxy sneakers without an airbrush hit play on the video! 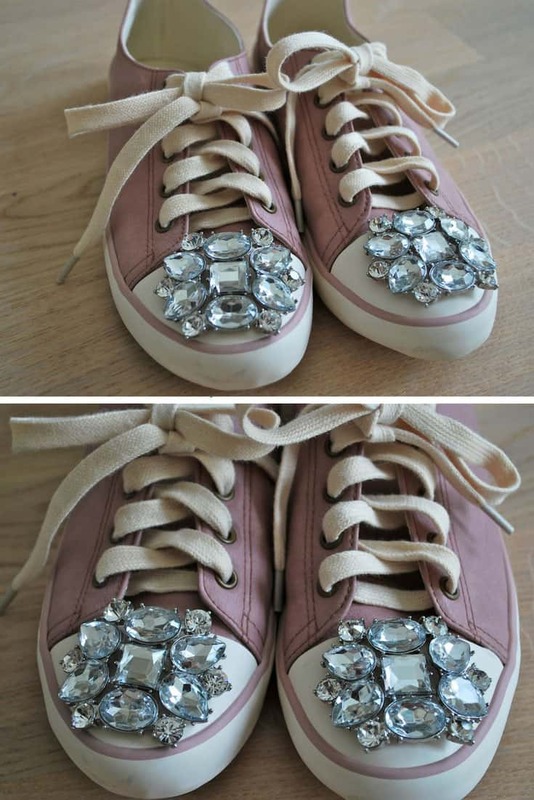 Love the way she turned a couple of old broken bracelets into jeweled sneakers! Don’t forget to add a touch of decoration to the inside of your sneakers too! Who says heels should have all the fun? Why not decorate your vans with some huge gemstones to make them turn heads in a crowd? So many cute ways to transform your keds here, we think the daisies are our favourites! 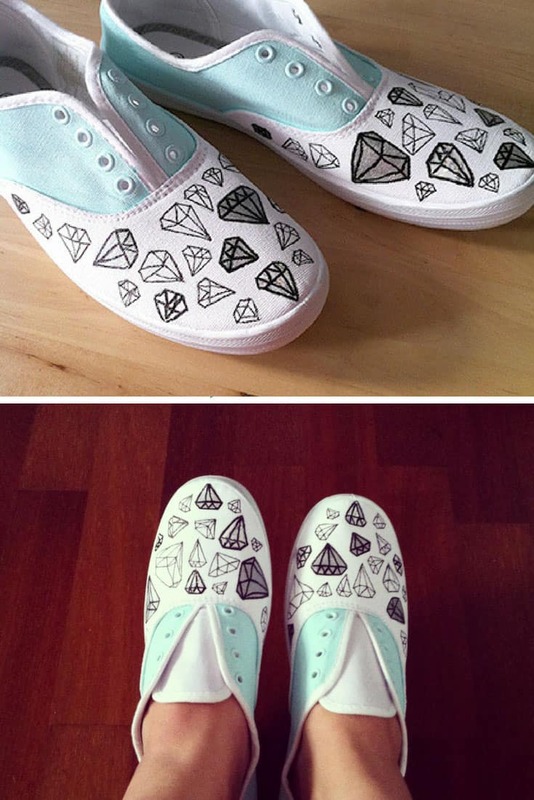 Follow this tutorial to make your own pair of diamond sneakers, or any other pattern that your heart desires! You don’t have to decorate the outside of your sneakers, if you want something a little more subtle try painting the tongue with fabric paint. 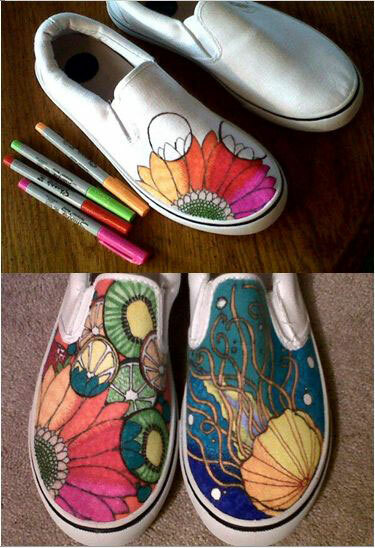 If you are a Sharpie fan then grab a pair of cheap white sneakers and go to town showing off your creative skills! 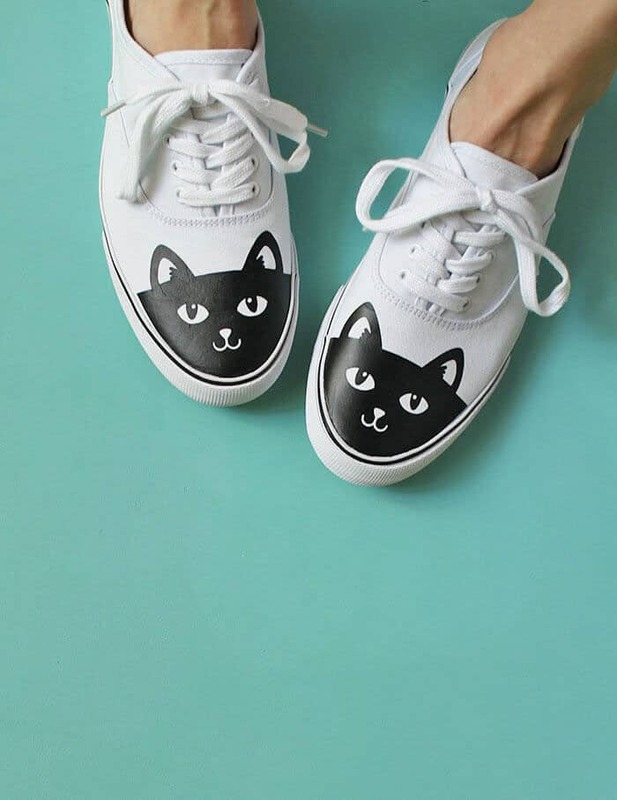 How cute are these sneakers? Totally easy to make your own pair with some applique patches and a pair of funky laces! 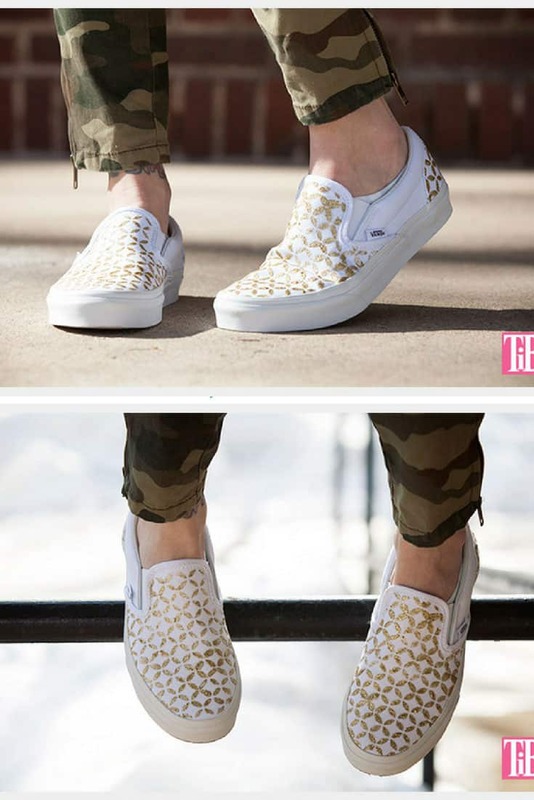 Use a super cute stencil, Mod Podge and glitter and you can create a totally unique pair of slip on sneakers.